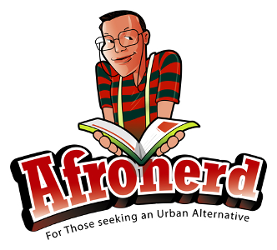 Head Closer Toward the Winter solstice With Afronerd Radio's Grindhouse, Sat@6pm EST - Afronerd: The Blerd Revolution Has Begun! Just like the often and incorrectly attributed Dragnet catchphrase-"Just the facts, ma'am"....we will try to make the show description brief! Welcome to The Grindhouse(Comic Shoppe+Afronerd Radio) broadcast airing this Saturday at 6 and 7pm, respectively. For The Comic Shoppe, join Dburt, Capt. Kirk and Daryll B. as they tackle the following subjects: more on the Sony hack (The Interview gets pulled, Idris as 007, Denzel gets slammed in an email, Andrew Garfield out as Spidey? ); more on David Walker's take on Shaft, courtesy of Dynamite; in quest of a Black owned comic shop; Marvel' Comics editor-in-chief talk to CBS about the changes/diversity in Marvel characters; is there any hope for continued storylines relating to the Last Airbender series as the Legend of Korra series comes to a close?, and lastly, our thoughts on two new TV series, Netflix' Marco Polo and Syfy's Ascension. And there's Afronerd Radio airing at 7pm. Join Dburt and Captain Kirk as they decipher the following "Da vinci coded" current event laden issues: much hyped racial discussion between The View's Whoopi Goldberg and Rosie O'Donnell; neo-soul artist, D'angelo releases his Black Messiah album after a 15 year absence; it appears that Bobby Shmurda's new audience will be behind bars (really? ); after President Obama's historic political coup in renewing diplomatic relations with Cuba after 53 years of hostility-is he being "graded" fairly? and lastly, with VH-1's Sorority Sisters, cyberspace's lightskinordarkskin.com and a new Hip Hop themed restaurant serving "thug rice," is there no end to the minstrel industry onslaught? Call live at 646-915-9620.